This is Samsung’s second PLS (Plane Line Switching) monitor. Samsung’s PLS panel technology debuted on the SA850 last year to impressive results except for the back-lighting. 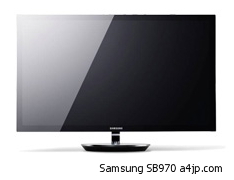 The S27B970 series monitor is the first monitor since the SA850 to utilize this panel technology and also makes use of Samsung’s exclusive Natural Color Expert technology. Samsung states that this includes “hardware color calibrations within the monitor to ensure there is no displayable loss of tonalities on screen”. 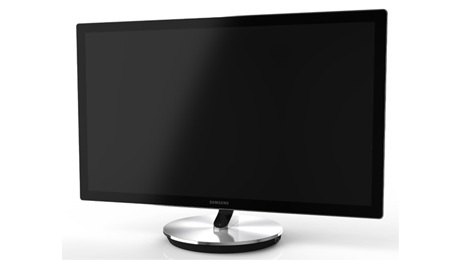 Like the SA850, the 27-inch monitor has a high resolution of 2,560×1,440 pixels (WQHD). The monitor allows for a 4-inch height adjustment and tilt, but it’s unclear whether swivel or pivot are provided. The circular aluminum base has a USB hub, and video connections including DisplayPort, DVI, and HDMI. A Mobile High Definition Link (MHL) for MHL-enabled smartphones and tablets avalible to connect your compatible tablets and smart-phones on this huge screen. The SB970 arrives in March, with prices starting at $1199.99. Anti-glare edge-to-edge tempered glass display and a super slim profile built on an ergonomic height-adjustable aluminum stand that allows users to fluidly adjust the ergonomics including height and angle to their desired viewing position. 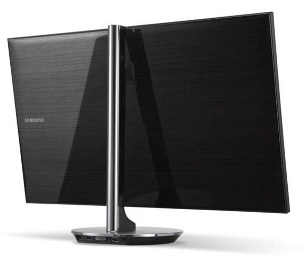 The Samsung Series 9 S27B970 Monitor: Looks like it will be a brilliant display.